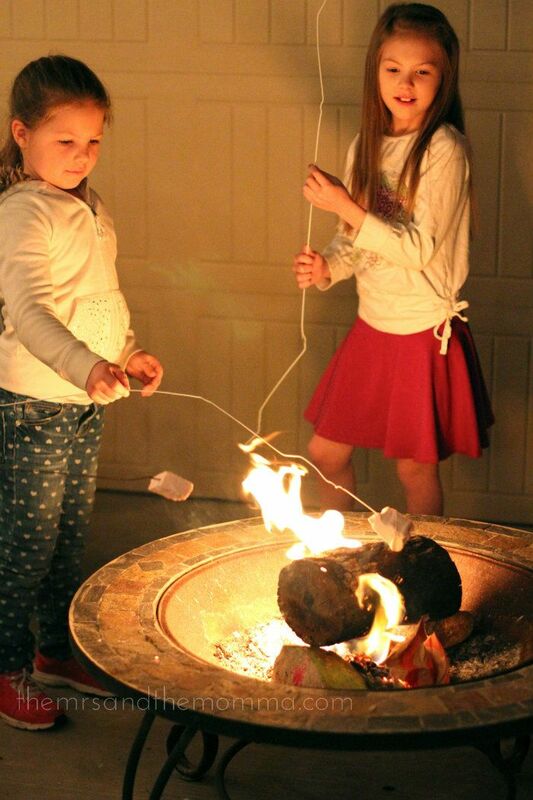 The other night we decided to have a little marshmallow roast in our courtyard. Blake had strung up lights when we hosted Christmas, and we liked them so much that they've stayed up. 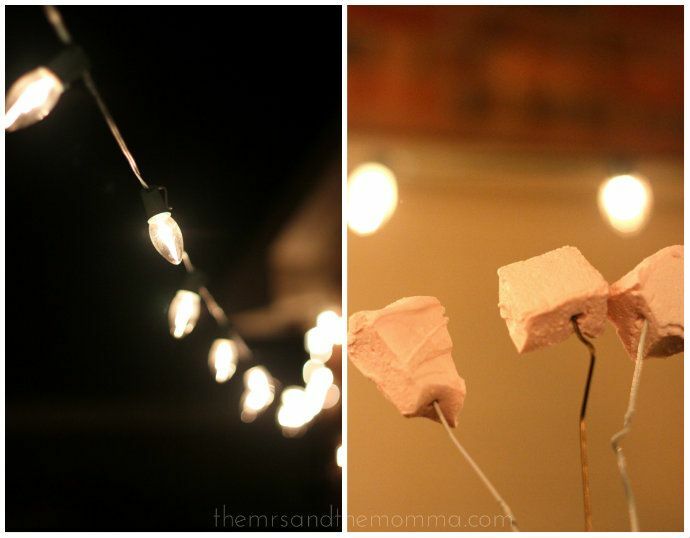 Also, we still had some homemade marshmallows on hand from this Valentine's craft, so it was a perfect night...sort of. The only hicup...and pretty much the key factor when attempting to roast marshmallows...was the fire. It just would NOT start. It didn't help that we had zero kindling...but the idea was already set in motion, so a fire we MUST have. 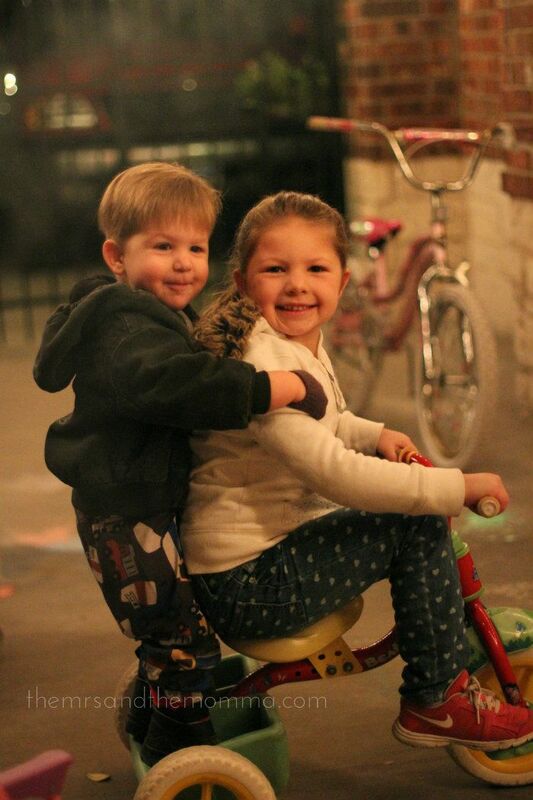 While Blake tediously started the fire, the kids had fun riding their bikes around the courtyard and trying to sneak marshmallows....looking at you, Bennett Boy. Which makes me think we should have one last little get together around the fire pit...with a starter log this time, of course. I'm coming!! And PS: did I miss something...are you moving?! Oh! 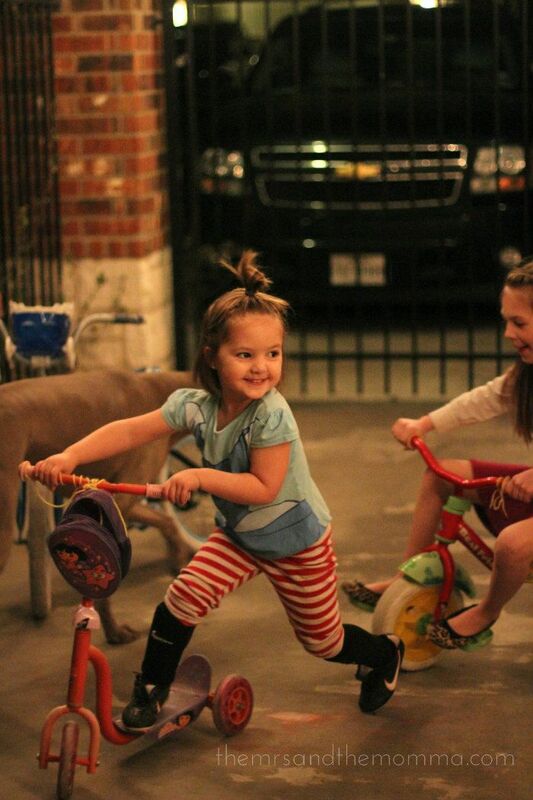 That looks like fun! My 2yr old would go nuts if we could roast marshmallows in our own backyard... Thinking I need to get a fire pit happening!